These babies are about to become a beloved closet staple for you. 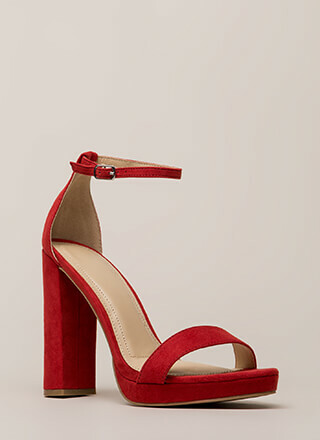 Chunky, open-toe, vegan suede heels feature a plain toe strap, a wide vamp strap, a slingback heel strap with an adjustable buckle, a platform with a ridged sole, and an allover, two-toned, spotted print for a leopard or cheetah effect. Pattern placement may vary.